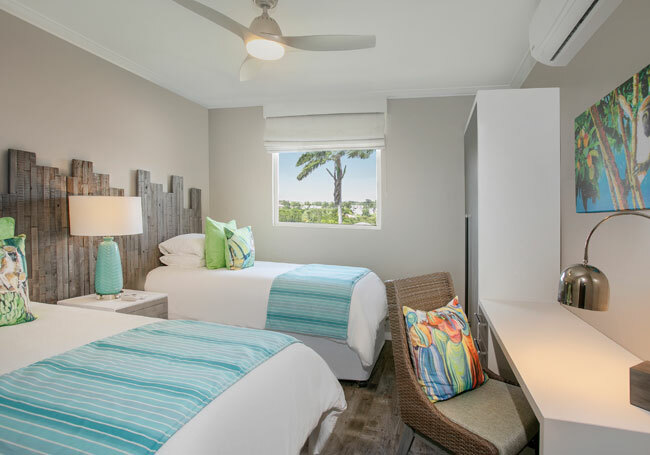 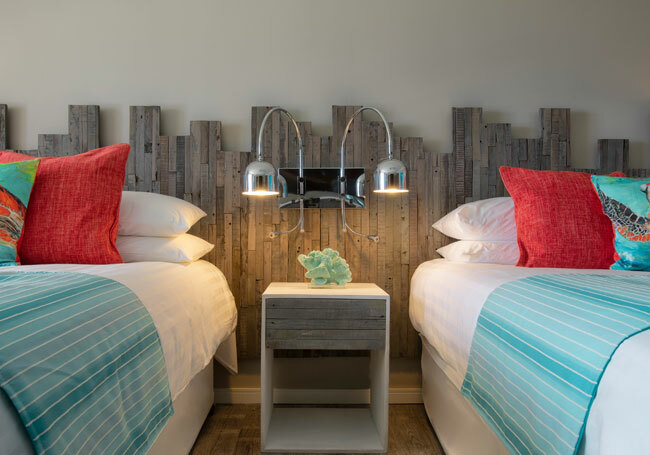 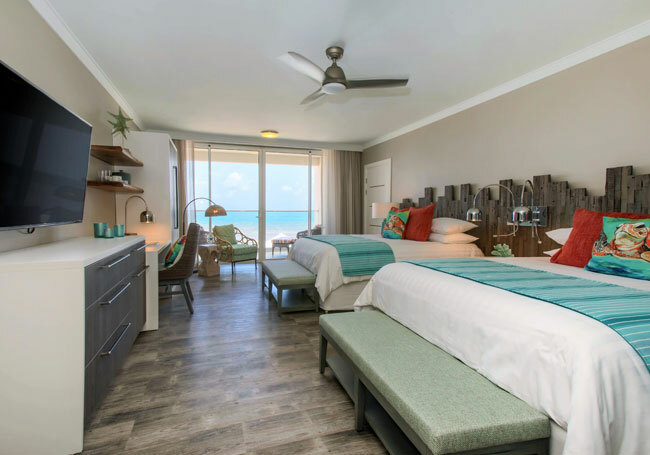 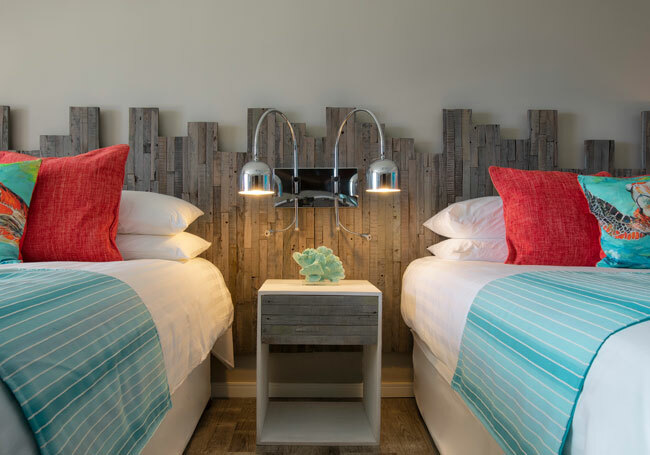 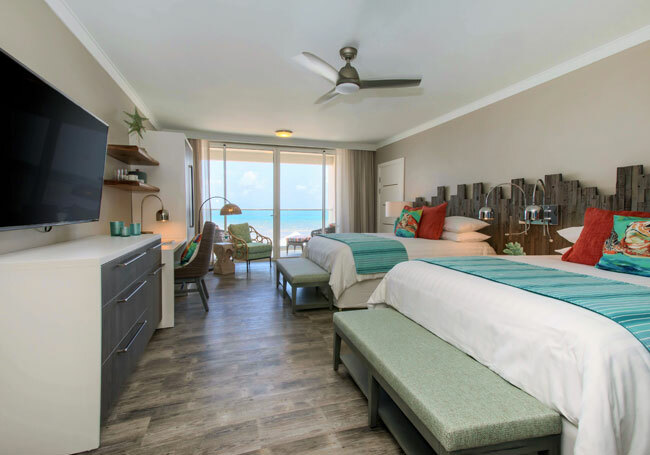 The Luxury Collection of junior, one, two, three and even four bedroom suites at Sea Breeze Beach House are exactly what you've been dreaming of. 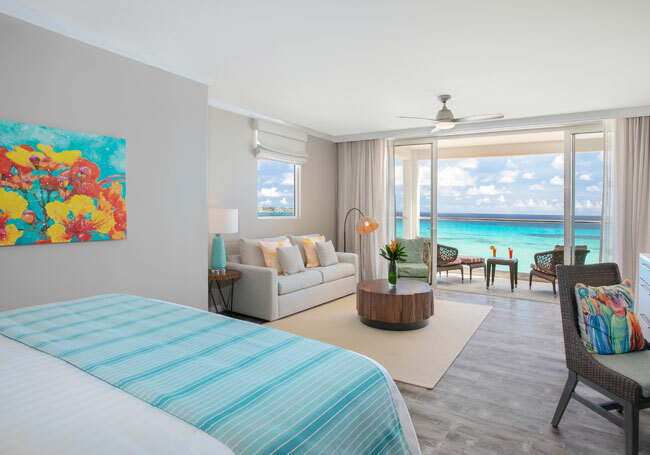 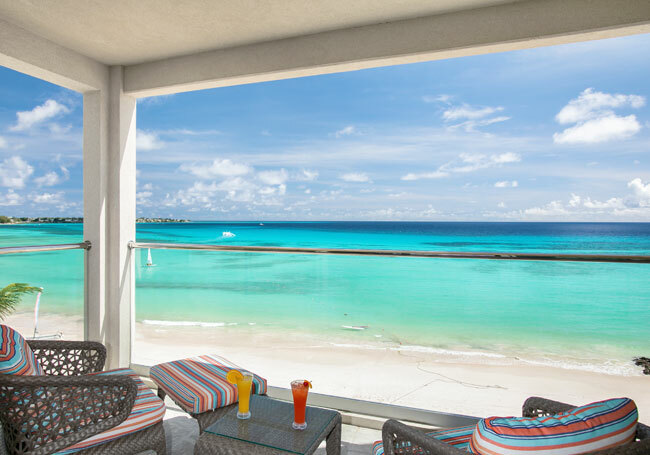 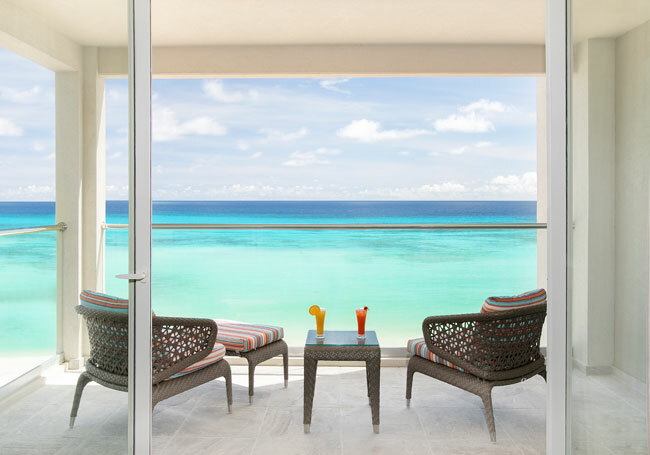 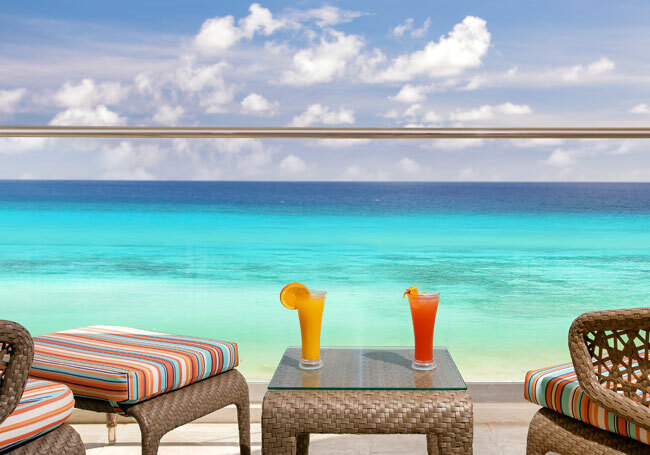 With exclusive amenity upgrades, premium bedding, stunning panoramic ocean views from your private balcony, and room service for two or ten, you'll be able to experience what Bajan hospitality is truly all about. 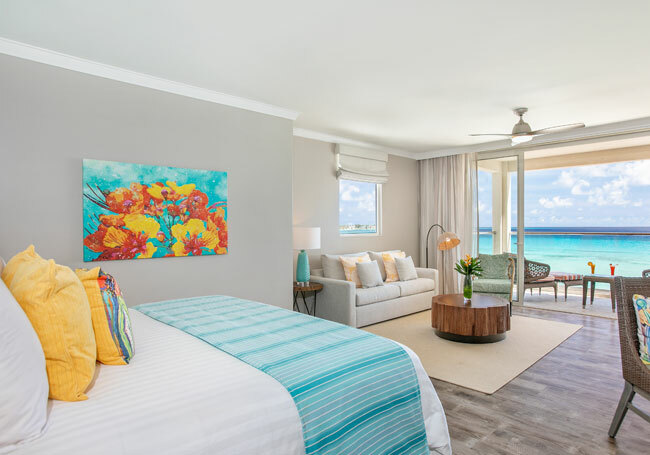 All newly renovated with high-end finishes and chic touches only found in our all-inclusive island paradise, this spacious and stylish collection of vacation accommodations are perfect for couples, families and groups. 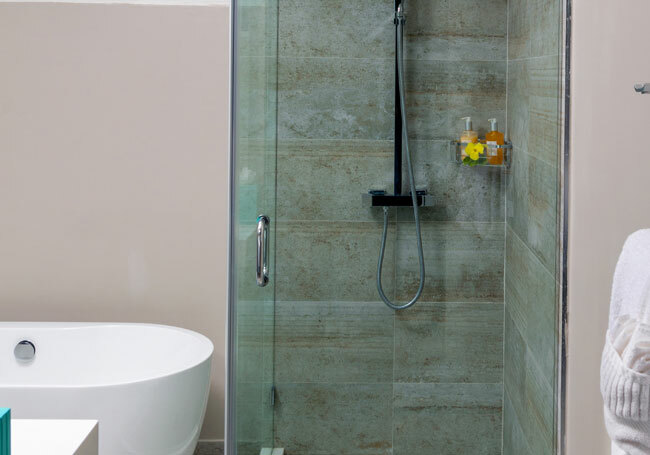 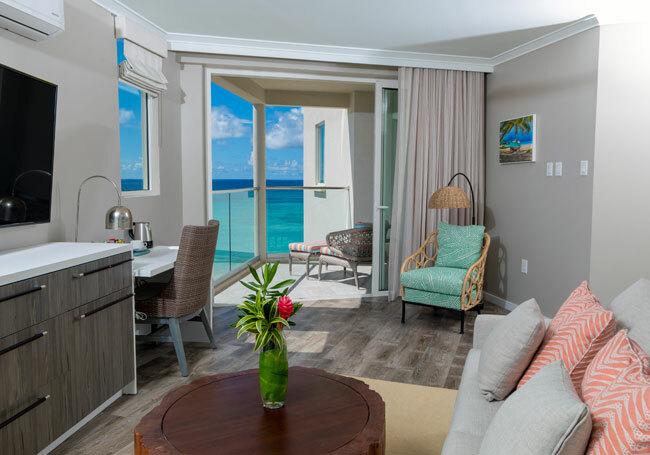 Book The Luxury Collection today. 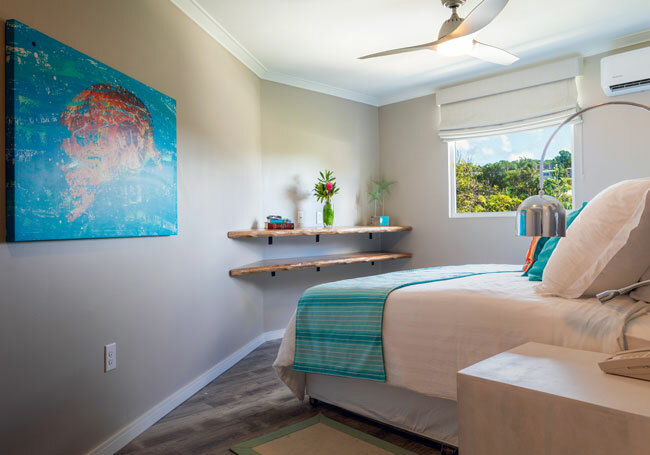 These open-plan, 600 sq. 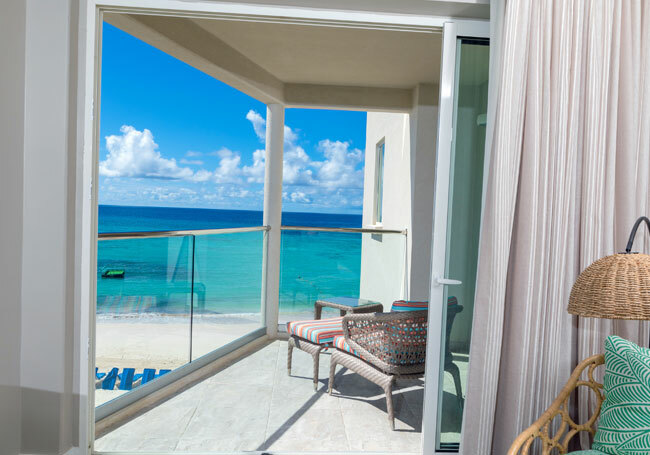 ft. suites offer uninterrupted views of the Caribbean Sea from their bedroom, living area and balcony. 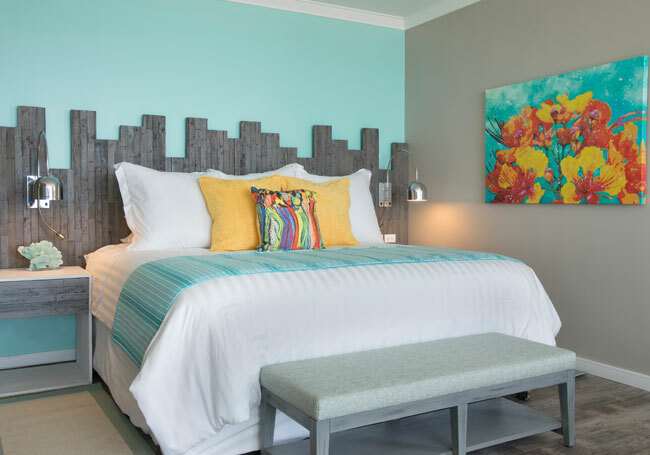 Boasting a unique coastal style dotted with pops of colour from local artwork, these turquoise and coral designed suites offer luxury, rest and relaxation. 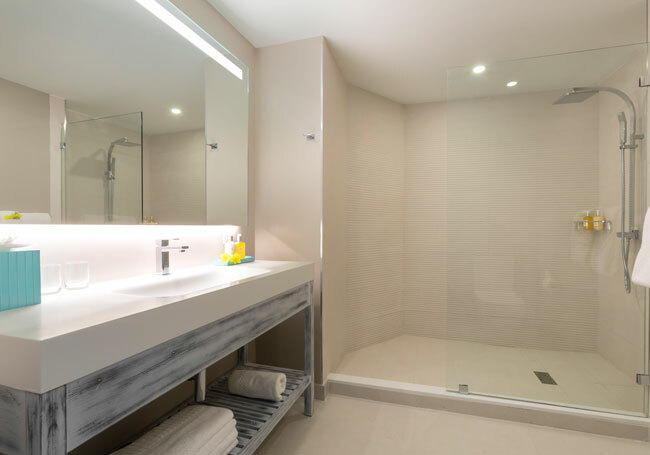 This spacious 850 sq. 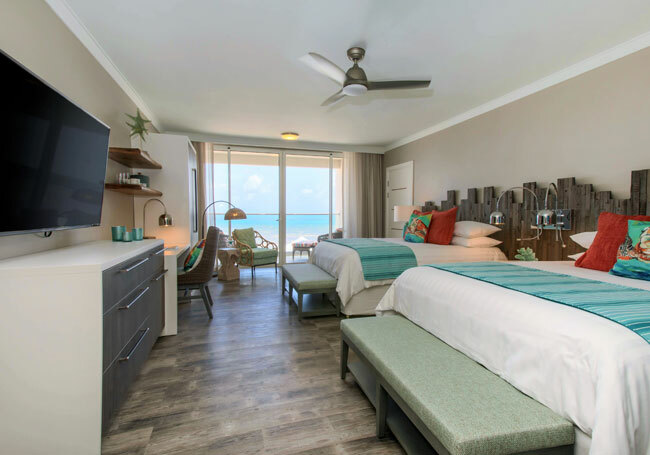 ft. suite is perfect for families or couples traveling as a group who want to stay together but who also want to have their privacy. 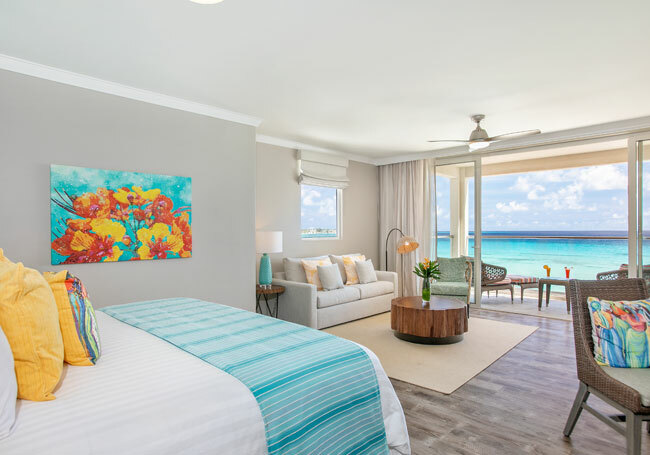 Offering 2 beds and 2 baths as well as a large living room, this luxurious suite offers garden views and private balconies with partial ocean views. 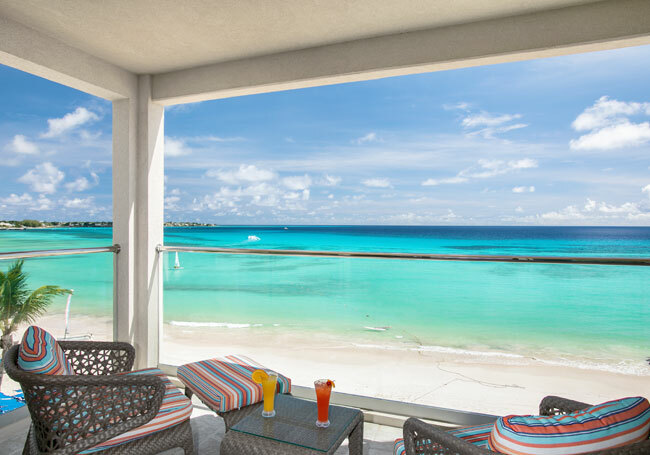 These 1,200 sq. 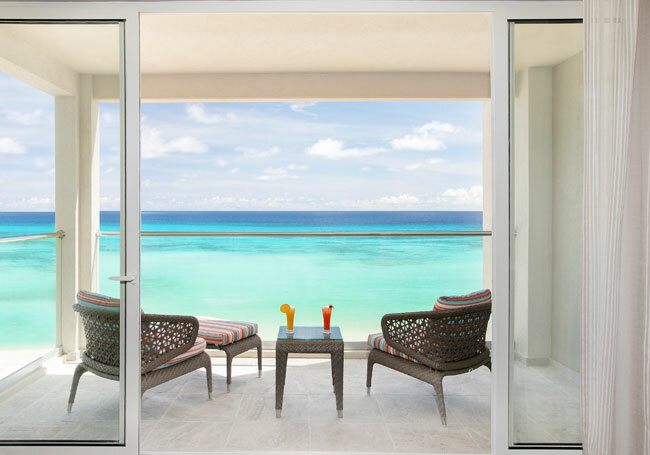 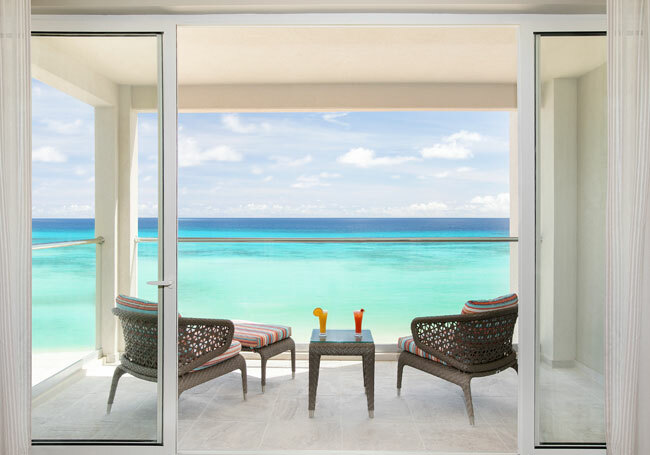 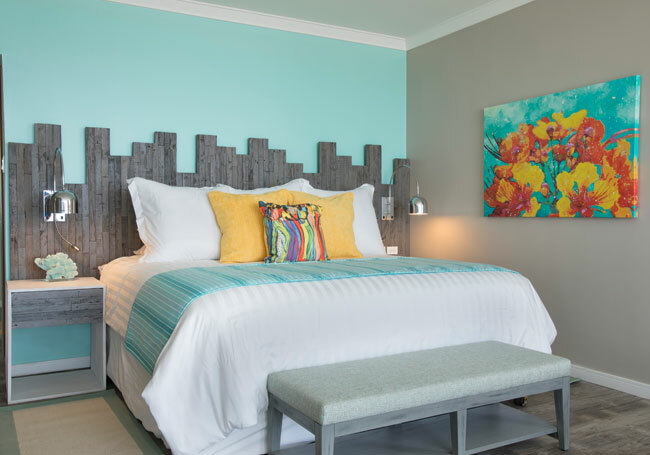 ft. suites are a combination of two Luxury Oceanfront Suites, making it ideal for families wishing to have adjoining rooms and uninterrupted ocean views of the Caribbean Sea. 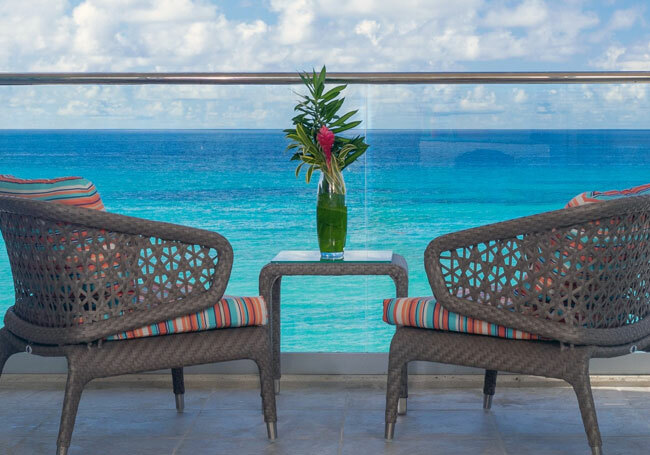 Spend your afternoon enjoying the amazing sunsets with your choice of two spacious furnished balconies. 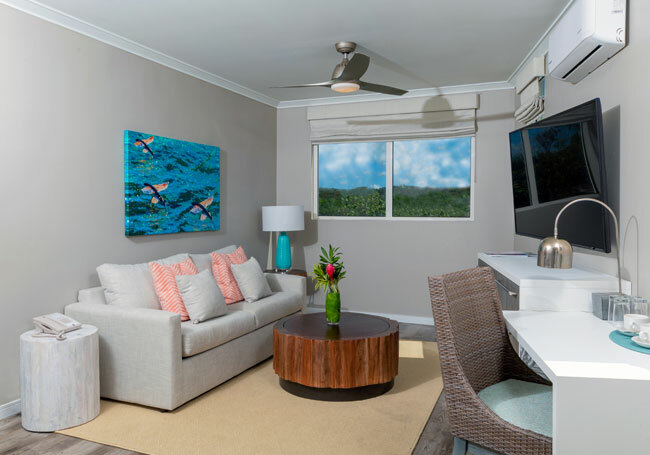 A truly unique option only available at Sea Breeze, these suites are created by combining a Luxury Two Bedroom Family Suite with one or two Luxury Oceanfront Suites. 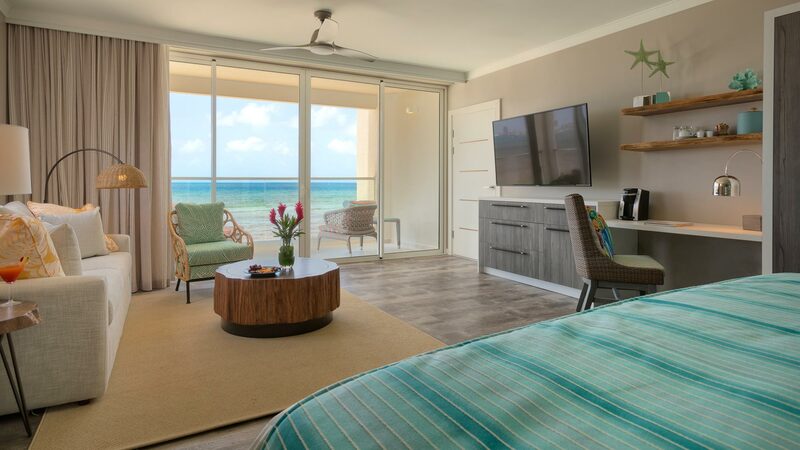 These rooms are incredibly spacious and feature uninterrupted panoramic ocean views, and exclusive upgraded amenities.